There is definitely a vast number of people that want to experience an exciting world of gambling or try some particular famous casino games. So what the beginners should know before entering any land-based or online casino? Of cause, there are many various casino guides and tutorials which can explain newbies all the rules or games' peculiarities and give them some important tips. However, those frequently cannot embrace all the essential aspects of gambling. It is always more helpful for beginners to get familiar with the most informative popular gambling books written by wise experienced gamblers that set certain places in gambling history and made lots of incredible feats during their gambling career. Almost all of them once considered their feats to be worth of several chapters and decided to pass cumulative knowledge other gamblers. Apart from this, their written works include many significant aspects which are very interesting for experienced players. 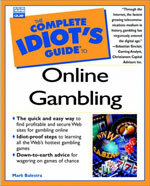 In this very article we decided to pay heed to the most interesting and helpful gambling books. We divide those in four groups according to their exact gambling orientation. We hope the title of this guide written by Mark Balestra won't offend or push you away. Don't be scared about it - in spite of the strange heading this is an extremely informative and detailed edition that can help any beginner to learn and remember some basic principles of casinos and feel free in any gambling environment. We can only add that together with this book the gambling knowledge begins. Bill Burton took care of your possible growth as a casino player. Approximately 10 years ago he had written this book which embraces innumerable quantity (actually there are 1000 of those) of amazing tips. Let us consider it to be the second stage of learning. His gambling secretes definitely will come in handy if you are new in gambling. And finally this book will help you to sum up everything you have learned before. This is the last stage of your turning into advanced gambler. Written by Angus Dunnington it includes information on different changes in gambling industry andgives valuable comments on various types of software. Moreover, as an addition the author offers great casino reviews. Advertising this book to you we can say nothing but that it was written by legendary Edward Thorp. 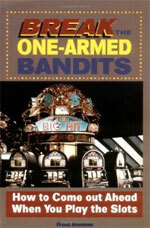 This ground-breaking edition is still considered to be one of the most popular written works on blackjack issue in the history of the game. After 'Beat the Dealer' every single casino in Las Vegas had changed many of their rules and system peculiarities. The very special and interesting side of gambling world is demonstrating by Ken Uston in his fabulous well-known book which concerns MIT Blackjack Team. In 'The Big Player' Uston revealed all peculiarities of the spectacular team which members were the idols for gamblers and intimidating figures for all casinos. Marten Jensen wrote an amazing book which is consider to be a must read for fresh roulette players. Clear and comprehensive comments and tips will bring you to advanced level at once! Without any doubt the works of the legendary personality in casino roulette should be mentioned here. Richard Marcus made a great contribution in educational side of gambling. He is also known as one of the greatest cheaters. Thus, every casino player will appreciate his tips and advice. You also may be interested in his other books like 'American Roulette: How I Turned the Odds Upside Down'. Frank Scoblete approached a question extremely properly. He began with a slot machines history and gave an informative description of slots' evolution. From the very beginning you can understand that the author is simultaneously a master of the game and a great teacher. All necessary tips on various slots can be found here. John Patrick didn't pay attention to some sophisticated titles and decided to exert himself for the perfect exposition of interesting facts, tips and ideas concerning slot machines. Moreover, the writer offer the easiest way of learning and winning at slots.